If you don't already know your height, measure from the top of the head to the floor (without shoes) – this is your height. If you have a scale, use it as you normally would and record the weight provided by the device. Have a friend begin at the nape (center of the back of your neck) and guide the measuring tape out over your shoulder and down the outer edge of your arm, stopping just past your wrist bone. Record this as your sleeve length. Have a friend measure around the middle of your neck, not too tight – record the measurement at a relaxed fit. Check your pant tags, either on the outer waistband, or stitched to the inner waistband. Typically there will be two numbers printed such as 38-34. If they are not labeled, the number on the right is your pant length. This section has all the resources you'll need to get measured by a tailor in your area. Print our measurement form out and bring it to your reputable local tailor. Download our printable measuring tape and measurement form to use at home or take with you to your local tailor - have them record your measurements on the page so you can bring them home and enter them on our website when you're ready to order. Click the button below to consult google maps for your nearest local tailor. 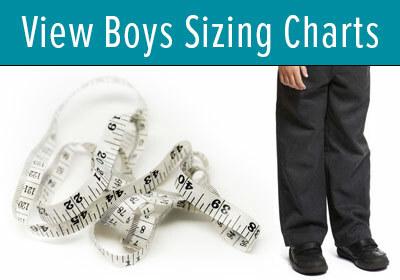 Most tailors will help you find your measurements for free or for a small fee. Click here to launch the tuxedo size calculator for a top-down look at approximated tuxedo sizes based on your information. All you need is your height, weight and pants waist size. You can visit our boys tuxedo rental section to learn more about renting for boys - we carry all sizes from boys size 3 to men's size 80!